Selected images of the frozen worms said to be recovered from ancient permafrost samples dating back at least 32,000 years ago. A team of Russian scientists is lining themselves up to be the opening cast of a John Carpenter film. Earlier this month, in the journal Doklady Biological Sciences, they announced they had discovered ancient nematode worms that were able to resurrect themselves after spending at least 32,000 years buried in permafrost. The discovery, if legitimate, would represent the longest-surviving return from the cold ever seen in a complex, multi-celled organism, dwarfing even the tardigrade. The worms were found among more than 300 samples of frozen soil pulled from the Kolyma River Lowlands in Northeastern Siberia by the researchers. Two of the samples held the worms, with one from a buried squirrel burrow dating back 32,000 years and one from a glacier dating back 40,000 years. After isolating intact nematodes, the scientists kept the samples at 68 degrees Fahrenheit and left them surrounded by food in a petri dish, just to see what would happen. Over the next few weeks, they gradually spotted flickers of life as the worms ate the food and even cloned new family members. These cloned worms were then cultured separately, and they too thrived. It’s definitely not out of the question that these worms could have been revived after so long, according to Robin M. Giblin-Davis, a nematologist and acting director of the Fort Lauderdale Research and Education Center at the University of Florida. “Theoretically, it is possible that if the organisms are protected from physical damage that would compromise their structural integrity during their frozen internment, they should be able to revive upon thawing/rehydration for very long periods of time,” he told Gizmodo via email. At the same time, the team’s findings could still be a dud. “The biggest issue is the potential for contamination of ‘ancient samples’ with ‘contemporary’ organisms,” he said. While the researchers do admit the possibility of contamination in the paper, they say it’s unlikely. They cited strict procedures to ensure complete sterility. And given that the ice samples were buried 100 feet and 15 feet down, respectively, they argue it’s implausible modern day nematodes could have wormed their way that deep. 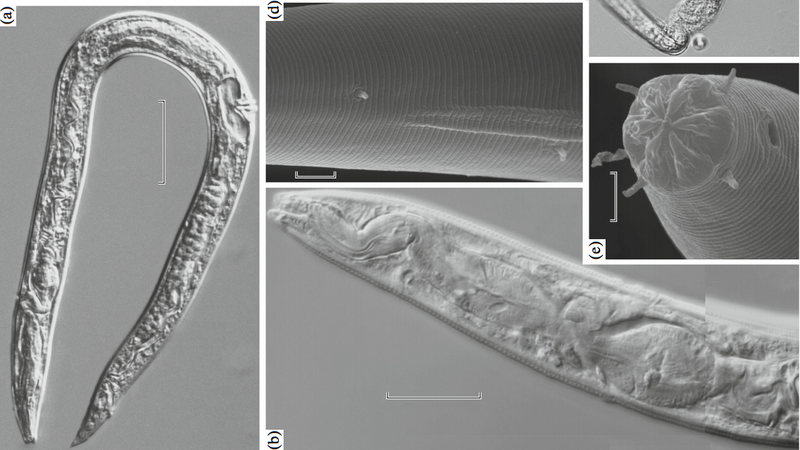 The researchers identified some of the worms in the 32,000-year-old sample as belonging to the genus Panagrolaimus, and some of the worms in the 40,000-year-old as part of the genus Plectus. Byron J. Adams, a nematologist at Brigham Young University who has studied nematode species capable of surviving extreme conditions, said the researchers’ claims seem credible, based on what we know about the biology of some modern-day nematodes. The discovery of such long-lived creatures would be an astounding record-breaker. Ancient bacteria buried in salt crystals over 250 million years ago supposedly have been brought back to life, but the oldest thawed-out animals only date back decades at most, such as a group of tardigrades, otherwise known as the water bear, that were resurrected after 30 years on ice. 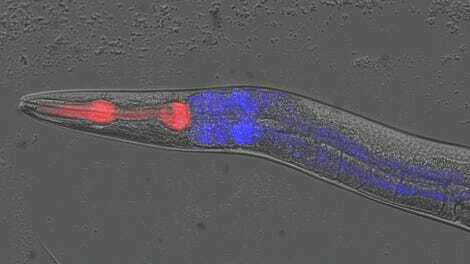 The more complex nature of these allegedly ancient nematodes could reveal more insights about the feasibility of cryostasis or how to survive in extreme conditions like space, the researchers speculated. And at the very least, they might provide clues as how these worms have evolved over time. “After 40 thousand years, we should expect to detect significant differences in evolutionary divergence between ancient and contemporary populations,” Adams said. Adams was careful to point out that because we know so little about the genetics of these modern cold-loving worms, even a genetic comparison that finds substantial differences between the thawed-out worms and other present-day populations wouldn’t necessarily confirm their longevity. He believes it will take very sophisticated tests, akin to those that confirmed the existence of nematode species that can survive deep inside the crust of the Earth, to know whether these worms are actually ancient. As far as the horror movie scenario goes, there’s no indication these worms would present any danger to people (though some species of nematode can make us sick). Still, if you’re studying long-ago frozen creatures in the Arctic, it’s probably worth stocking a fire-thrower or two.